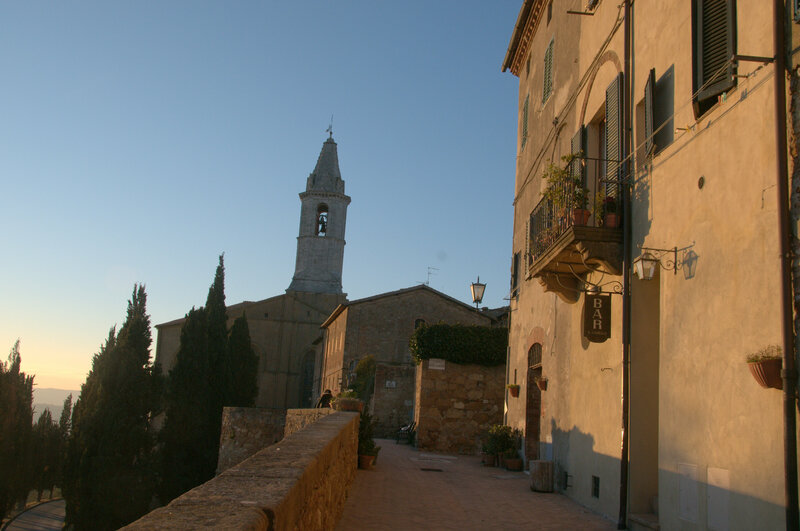 Both a village and a wider zone, Pienza countryside begins some 10 minute’s drive from the house whilst the village is about 25 minutes away. 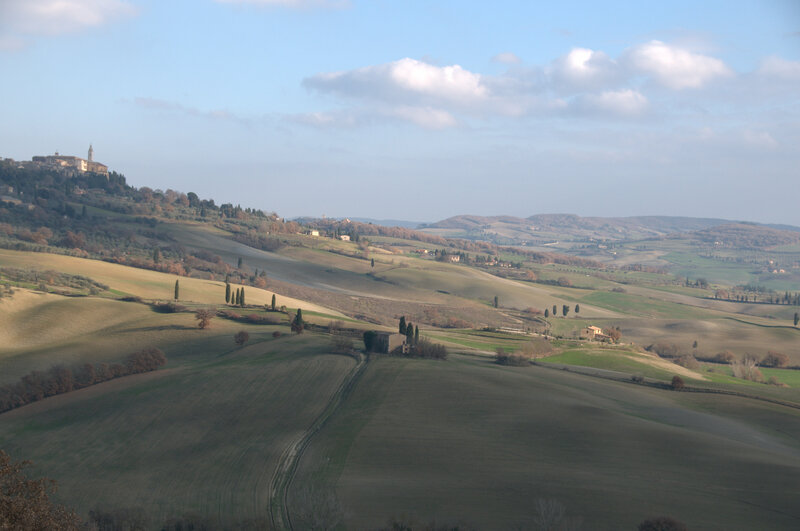 The commune of Pienza includes some truly spectacular scenery (the wheat fields and Cypress trees seen in Gladiator) and the city centre itself has the most fantastic views over large areas of the Val d’Orcia. The area is great for exploratory wandering drives and landscape photography with ‘parking spaces’ at road side at critical points for the most photographed scenes. 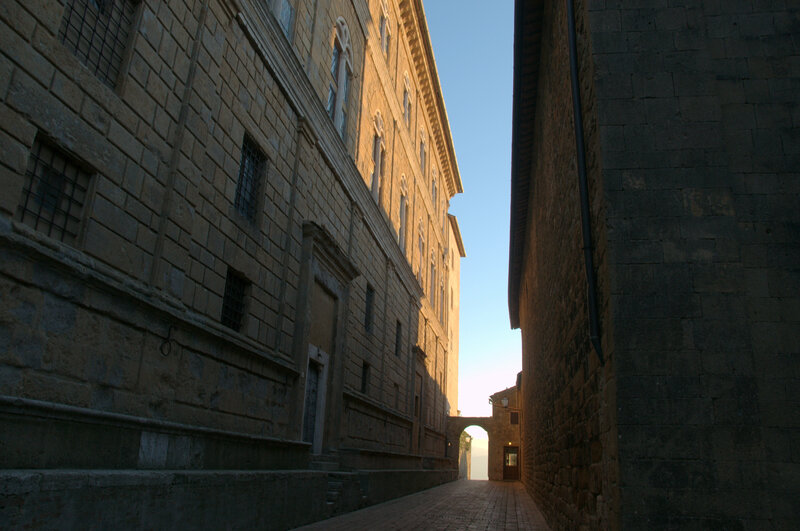 The city of Pienza is tiny, the once – upon – a -time Summer Retreat of a Pope, long known as La Citta Ideale and more recently as a UNESCO world heritage site. 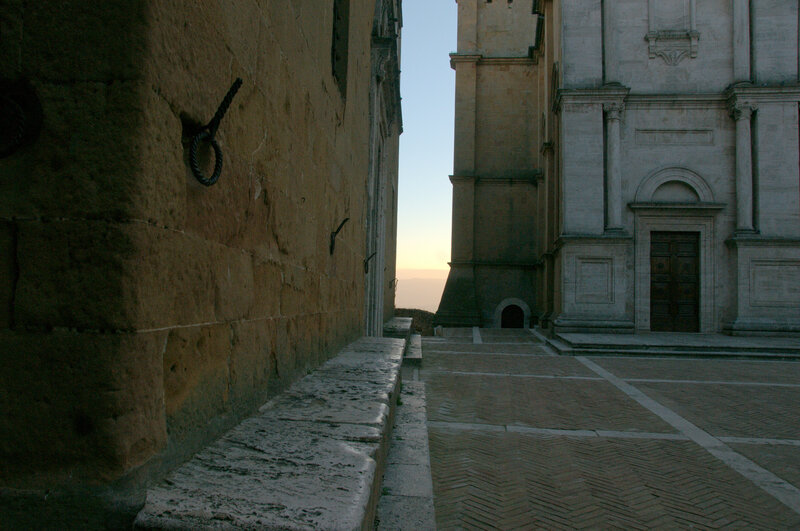 The central square, (location of the final sequences of The English Patient) featured in these Winter shots is a must see, as is the view ‘out back’; over the Val d’Orcia. 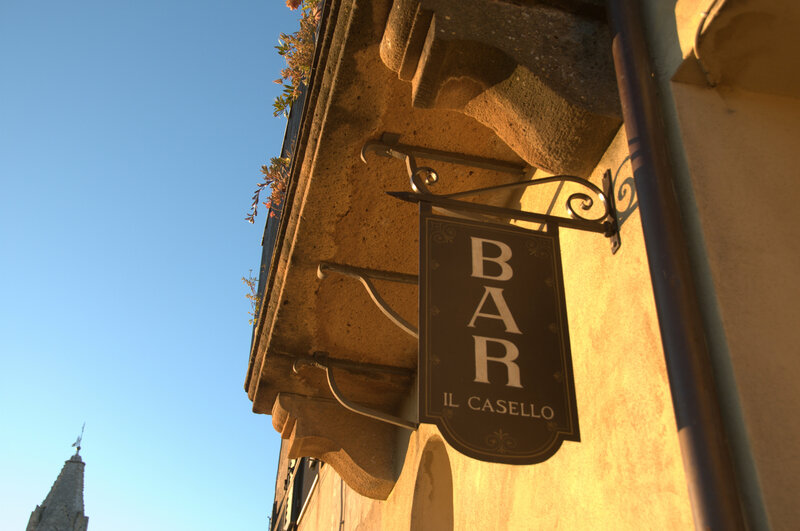 Viewing is recommended in the company of a loved one, with a glass of fizz at Paolo’s bar Il Casello. 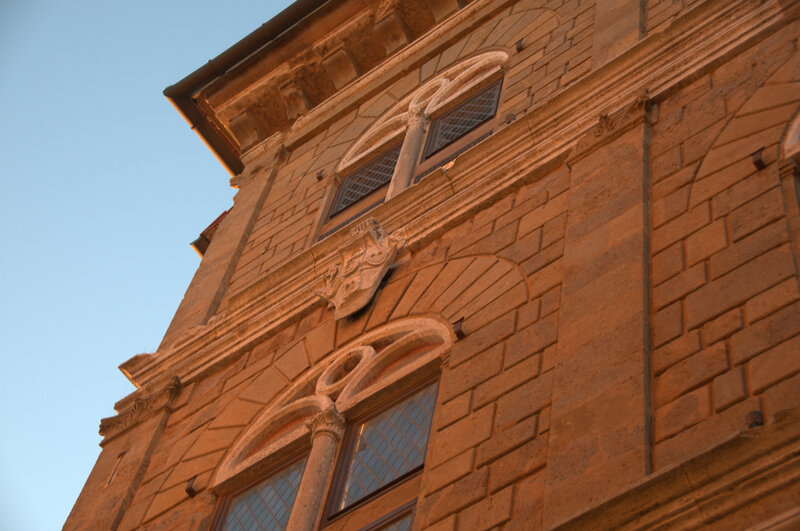 If you’re staying at the house for several nights you might head out to Pienza more than once, it’s easy and pleasurable to get to. 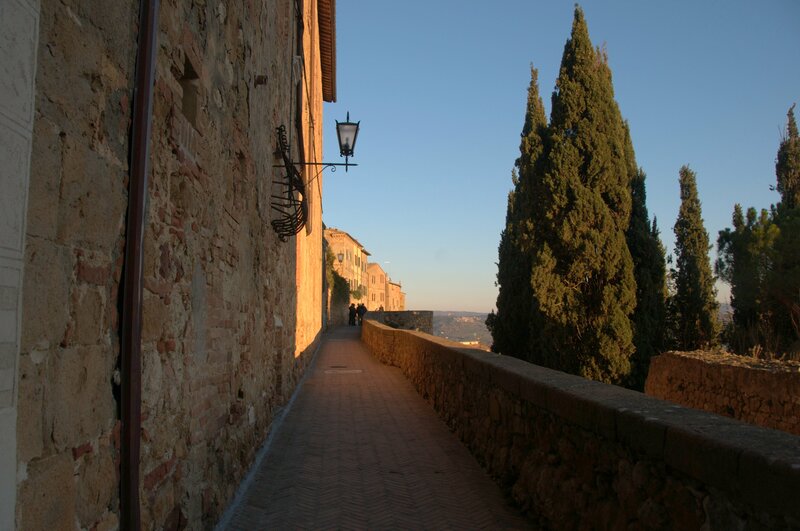 If you’re staying with us for only 2 nights we’d nominate it an essential visit – along with Cortona, Montepulciano, Siena. 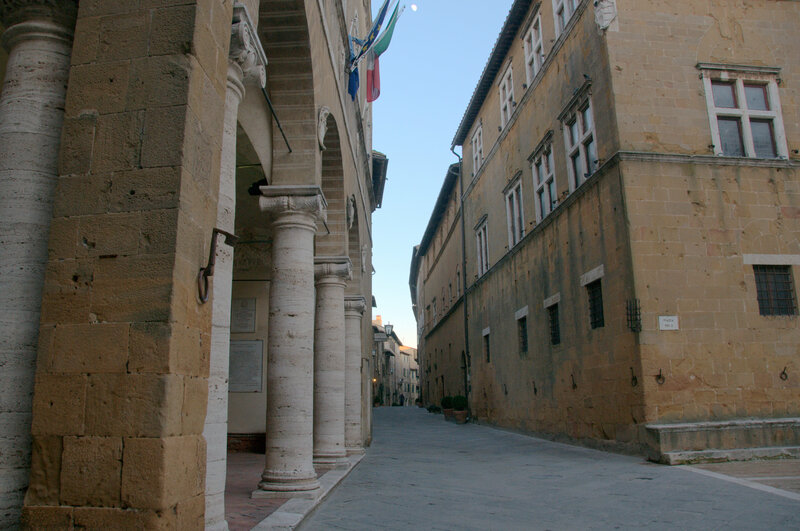 Today, visited by travelers from all over the world, Pienza felt like a ‘secret’ 11 years ago when we arrived. 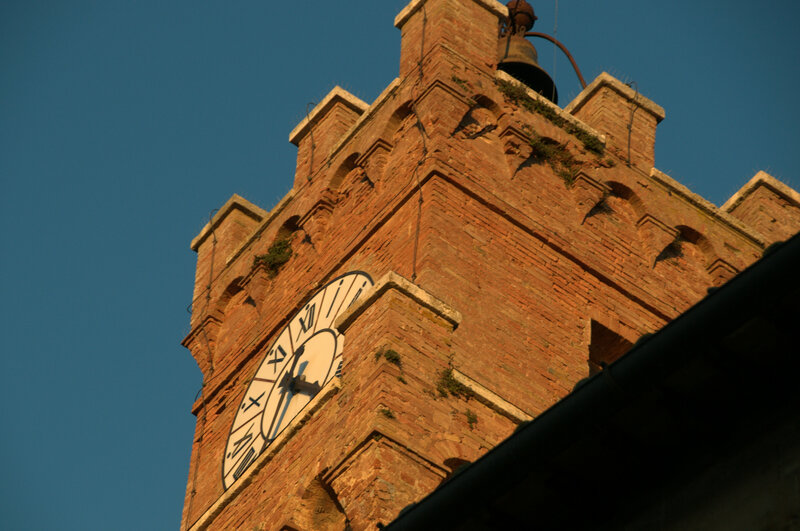 We were introduced to it as a special place by a friend from Sinalunga who took us to eat at the Buca delle Fate and watch the fireworks on the Italian national holiday (August 15). 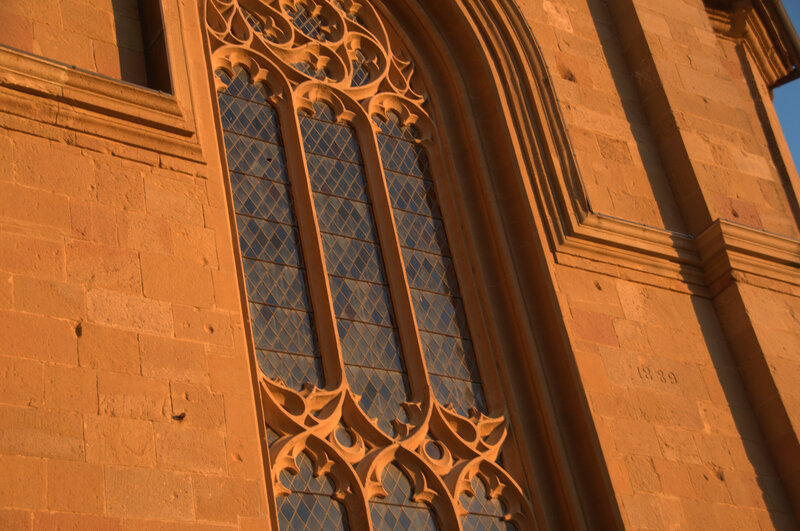 On the freezing cold day in January when I took these photographs the place was beautifully empty. In recent years the city has become popular internationally, driven, at least in part, by the La Bandita properties: The recently opened Town House Cafe- with it’s excellent kitchen and stylish interior being a favourite lunch spot with our honeymooners. 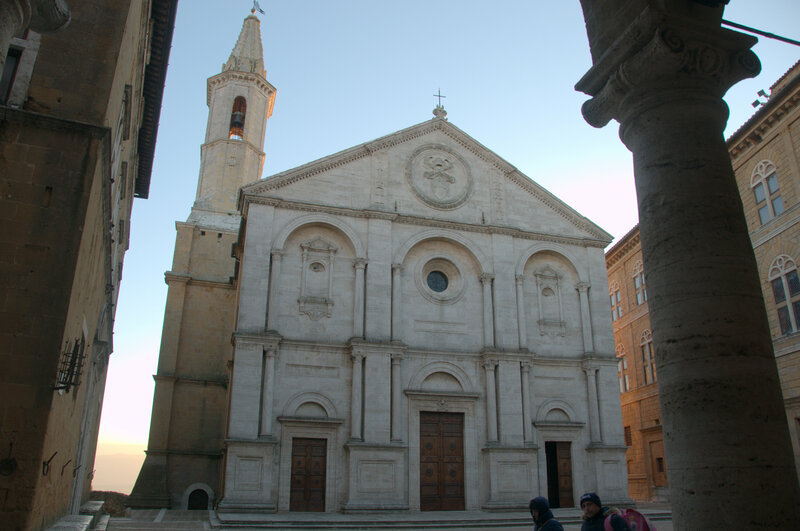 The Commune of Pienza is in the Province of Siena, and borders with the communi of Castiglion d’Orcia, Chianciano Terme, Montepulciano, Radicofani, San Giovanni d’Asso, San Quirico d’Orcia, Sarteano, Torrita di Siena & Trequanda. 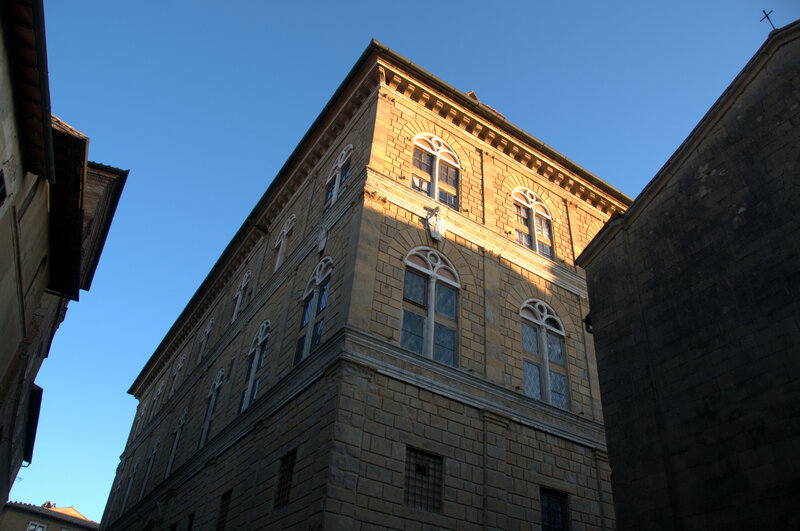 THE DRIVE 20-25 minutes very scenic drive to Pienza centre. PARK just within sight on the left on approach to town (marked with a big blue ‘P’ sign) or continue toward the centre and follows signposts to head for the large parking zone also pay and display meter parking with blue spaces. 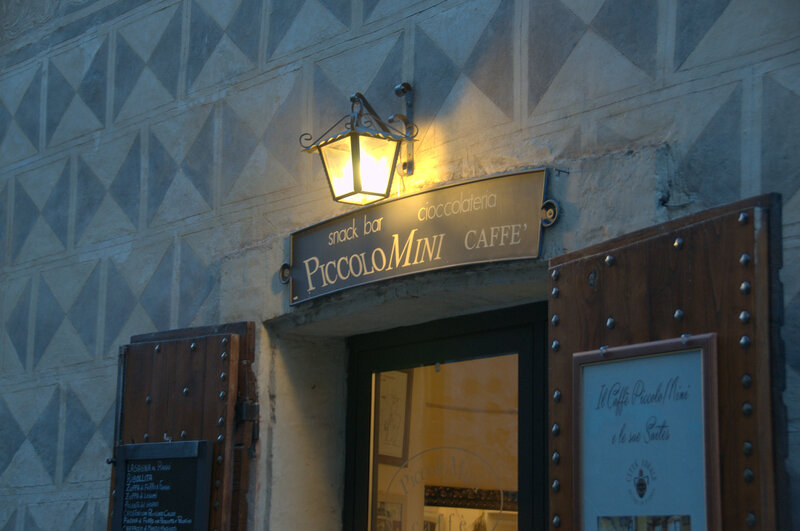 GOOD FOR As a ‘quick stop’ for a coffee on the view, some photography and a look at a truly perfect little Tuscan hill town, or a longer visit for a lunch or dinner, walk around town, a little photography and shopping. 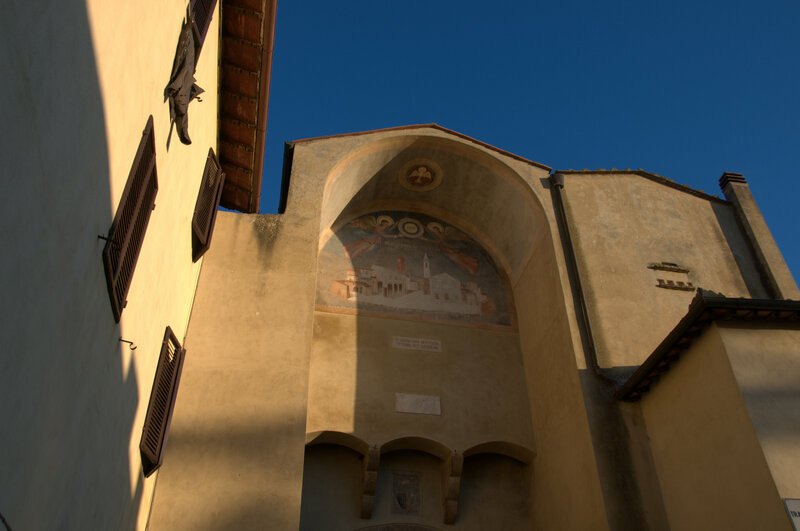 EAT We like La Bandita Town House Caffe & Buca Delle Fate DRINKwe like Bar La Posta for a truly local style experience and Il Casello for fizz with a view. 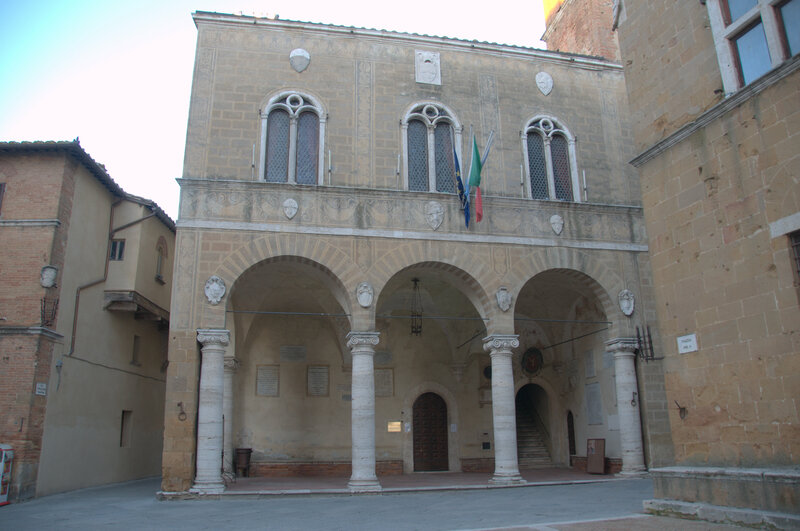 DON’T MISS the main square, the view out across the Val d’Orcia behind it. 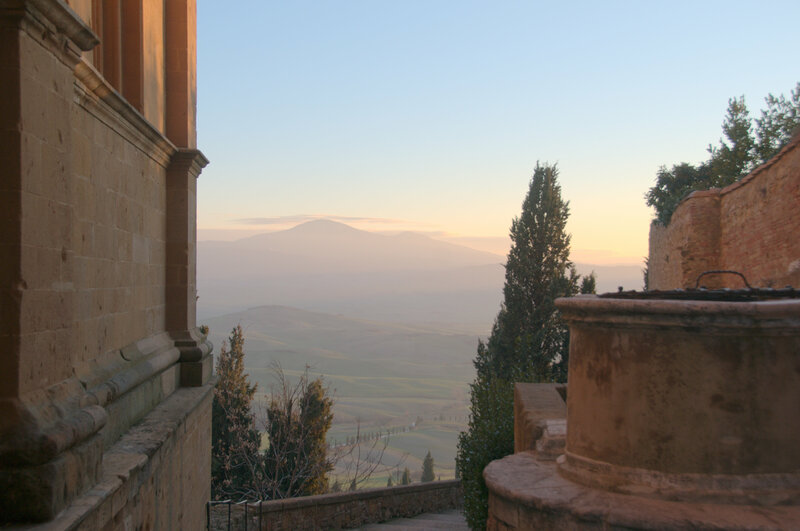 ITINERARY:Relaxed: A few happy hours in Pienza combine well with wine tasting or city centre visits to Montalcino OR Montepulciano, smaller un touristy town centre visits to Montefollonico & Monticchiello or Lucignano d’Asso – and drive with photography in the Val d’Orcia. 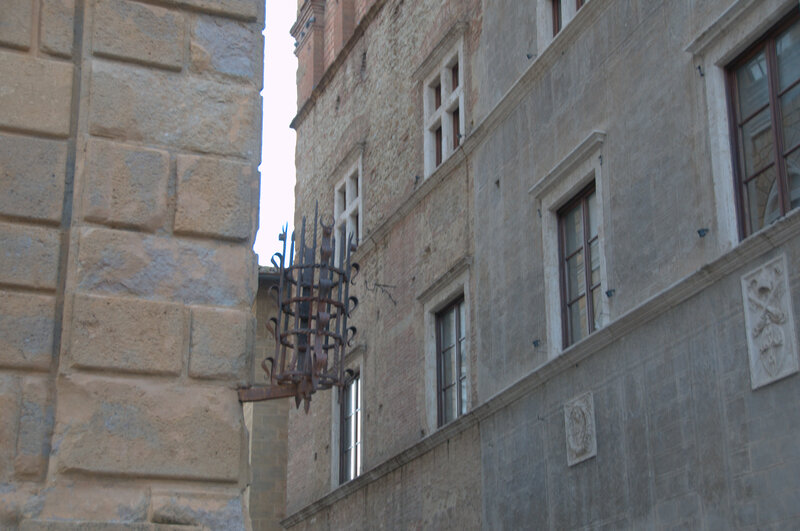 Garden lovers could consider combining a visit to Pienza with a tour the gardens at La Foce or in San Giovanni d’Asso at Shepherd Craig’s Bosco della Ragnaia ITINERARY:Whistle stop if you really want to see the best of our area but have dedicated only a couple of nights’ stay to it you should consider heading out to Siena historic centre (Sienna) via Pienza, including Montepulciano’s historic centre in your day.